A wise, hilarious novel from the beloved, award-winning author of Funny Girl, High Fidelity and A Long Way Down. Will Freeman may have discovered the key to dating success: If the simple fact that they were single mothers meant that gorgeous women—women who would not ordinarily look twice a Will—might not only be willing, but enthusiastic about dating him, then he was really onto something. Single mothers—bright, attractive, available women—thousands of them, were all over London. He just had to find them. SPAT: Single Parents—Alone Together. It was a brilliant plan. 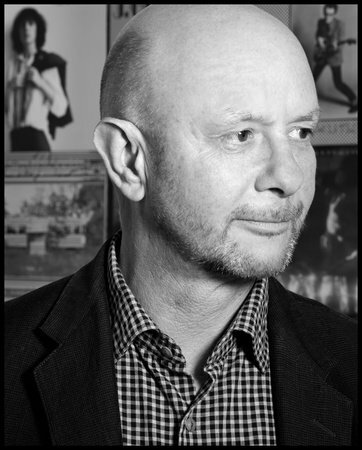 Nick Hornby is the author of several internationally bestselling novels including High Fidelity, About a Boy, and A Long Way Down, as well as several works of nonfiction, including Fever Pitch, Songbook, and Ten Years in the Tub. He has written screenplay adaptions of Lynn Barber’s An Education, which was nominated for an Academy Award, Cheryl Strayed’s Wild, and Colm Tóibín’s Brooklyn. He lives in London.